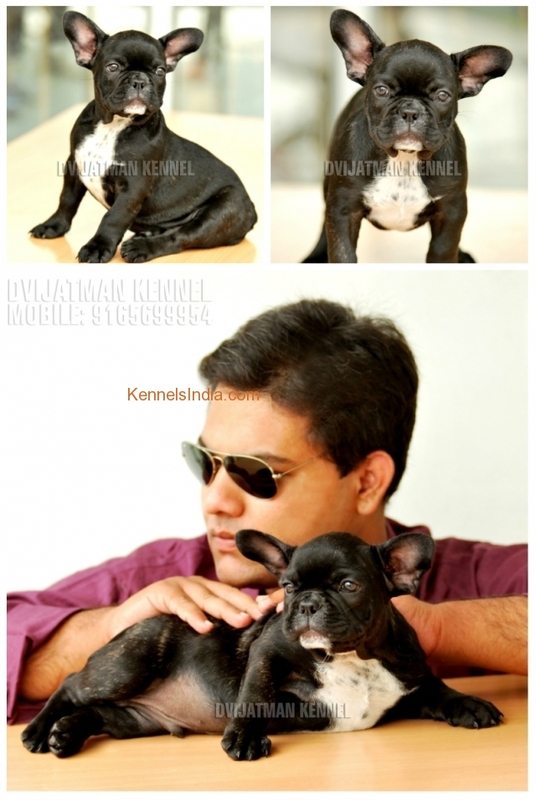 Super Duper Quality French Bulldog pups available for Premium Homes. 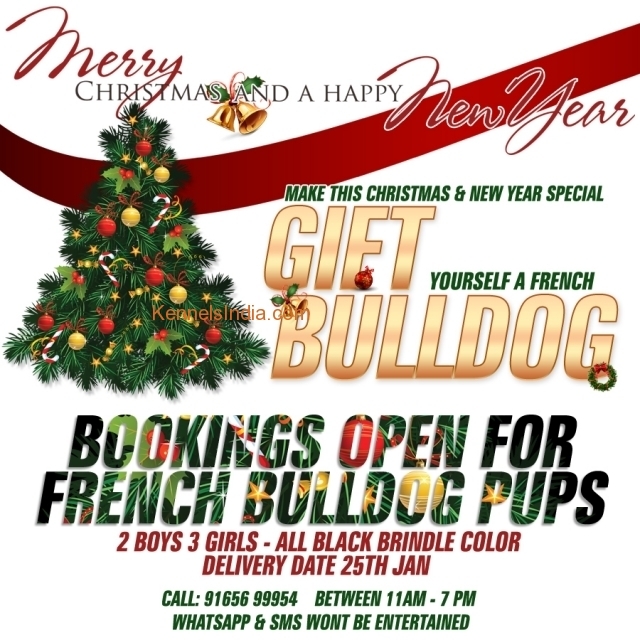 Bookings open, Call before new year 2016 for a special discount. The French Bulldog is a descendant of the English Bulldog, which was bred in England in the 1500�s for bull baiting, a popular gambling �sport� in which one or more dogs were matched up against a chained bull (or bear). The French Bulldog (also �Bouledogue Francais� or �Frenchie�) was developed during the Industrial Revolution when workers, primarily lace makers, traveled from Britain to France, bringing smaller Bulldogs with them as companions. 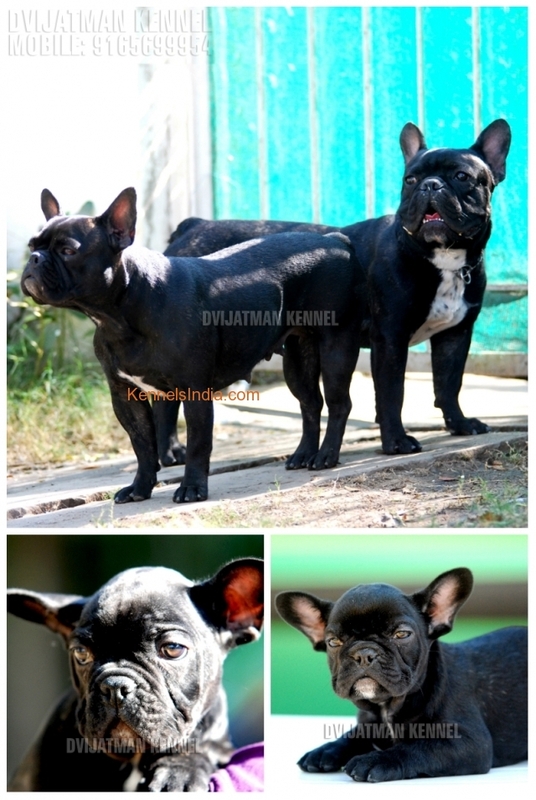 Unlike English breeders, French breeders preferred erect �bat� ears and selected for small size and docile temperament. The breed caught on with the upper class, and was brought back to America by wealthy travelers, where it was popularized via spectacular dog shows. The French Bulldog has a shoulder height of up to 30 cm (12 in) and weighs 9-13 kg (19-28 lbs). It has a wide head, round ears, and distinctive pointed �bat ears� with an attentive expression. French Bulldogs have short legs and tails, rounded chests, and compact, muscular bodies. Their unique shape gives them a low center of gravity and an odd stride. The French Bulldog has the appearance of an active, intelligent, muscular dog of heavy bone, smooth coat, compact build, and medium or small structure. Expression is alert, curious, and interested. The French Bulldog has a moderately fine, brilliant coat which is short and smooth. It can be fawn, white, or brindle, with a variety of markings which can result in a surprising diversity of appearances. The French Bulldog�s skin is soft and loose, especially at the head and shoulders, forming wrinkles. The French Bulldog is affectionate, uncomplicated, gentle, intelligent, sensitive, and fearless. The French Bulldog is known for its loyalty; its happy-go-lucky attitude is in sharp contrast to its sour face. French Bulldogs are happiest by their owner�s side and will misbehave if ignored. French Bulldogs are active, alert, and playful, but not unduly boisterous. French Bulldogs enjoy mixing with other dogs and household pets. They are great with children, well behaved, adaptable, comfortable companions with an affectionate nature and even disposition. Some French Bulldogs are cautious with strangers, but most are friendly to everyone. They are likely to drool or snore. When the French Bulldog is shedding, use a rubber brush to remove dead hairs. A special lotion will occasionally need to be applied to the facial and tail folds to keep them clean; soft tooth brushing with an approved toothpaste is also recommended. The French Bulldog has a lifespan of 8-12 years. Due to its facial features, it is susceptible to breathing problems and skin infections, and many are delivered via Caesarean section because of the large head. Most French Bulldogs cannot swim and are averse to hot weather. Consistency is important, but the French Bulldog is highly sensitive to the tone of its handler's voice, making training a fairly simple process. It is inquisitive and quick to learn simple tasks, yet unpredictable as it is a bit stubborn on occasion. The exercise needs of the French Bulldog are uncomplicated, but it does require daily exercise. Sufficient rest is key to development of healthy bones, muscles, and joints�do not expect your French Bulldog to run long distances or jump down from tall ledges. French Bulldogs are well suited to apartment life.